Take the train to Snohomish County’s Stanwood and begin your circumnavigation of hilly and rural Camano Island. Snohomish County Bikes: an ongoing series highlighting great Snohomish County bike rides. The Camano Island loop is a classic western Washington cycling route. The 50-mile ride traces the perimeter of the island, offering scenic Puget Sound vistas, quiet roads, and punchy ups and downs to keep things interesting (not to mention the occasional roadside kitsch). Most people ride the loop counterclockwise starting just across the bridge in Stanwood in Snohomish County’s upper northwest corner. Stanwood is also a stop on the Amtrak Cascades line, making it an excellent option for car-free cyclists or those of you who simply want to leave the car behind for the day. The Cascades line is the only Amtrak train that allows bicycles on board that aren’t boxed up (though they’re expanding the service to 15 additional lines soon). Bikes cost an additional $5 and the train’s rack only holds 10, so reservations are recommended. Whether arriving from the Seattle or Bellingham directions, expect to arrive in Stanwood between 8am and 9am and expect to depart around 8pm. Keep in mind, schedules are subject to change so please check the current Amtrak Cascades schedule. If you’re driving, the Seattle Randonneurs start their annual Camano Loop ride around the QFC/Starbucks in Stanwood. As with most of the islands peppered throughout Puget Sound, there are hardly any flat stretches of Camano Island. And though none of the climbs are very big (the tallest of them are only about 200 vertical feet), you’ll be feeling those near-constant ups and down by the end of the day. About 17 miles into the ride, you will face an important decision. 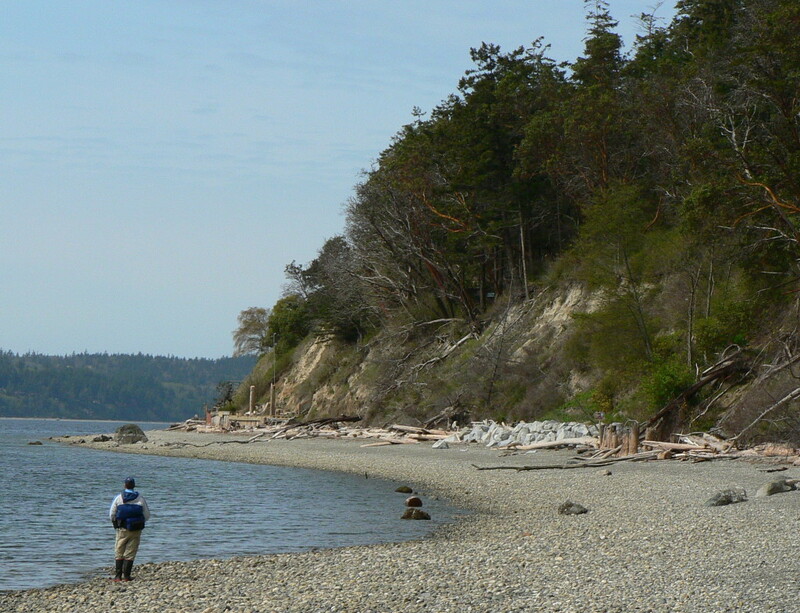 Many riders choose to dip down through Camano Island State Park for a stop at its beautiful beach. But, as any western Washington Cyclist knows, a ride to the shoreline almost always means a steep climb back out and Camano Island State Park is no exception. Skipping the out and back cuts off about six miles and the aforementioned climb. Shortly after the park and about halfway through the loop, the route passes Elger Bay Grocery, a small convenience store where riders can fill up bottles and grab a mid-ride snack. From there the route takes you around the island’s southern tip and back up the eastside towards Stanwood. Click here for a map and cue sheet for the Camano Island route. Do you have a ride report from this route you’d like to share? 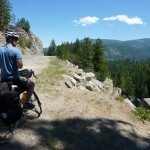 Click here to submit it to Washington Bikes to inspire others to ride. 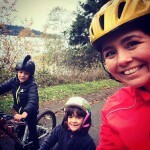 Putting Camano Island bike tour http://ow.ly/yZ4Mt on my #bikeit list. 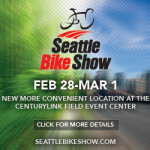 Love to #bikeWA! This article was posted in Adventure, Island County, News, Rides, Rural, Snohomish County, Tourism, Trains, Travel. Bookmark the permalink. Follow comments with the RSS feed for this post. Both comments and trackbacks are closed.